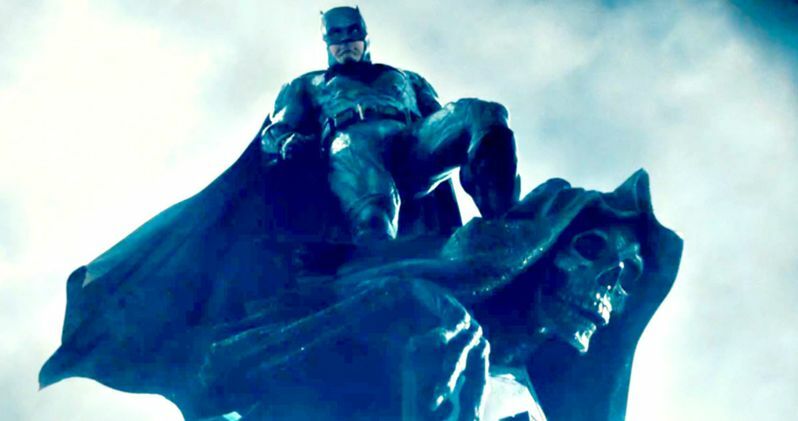 A new report claims The Batman starring Ben Affleck is getting pushed back to a 2019 release date. Affleck was originally on board to write, direct, and star in the project, hinting at a spring of 2017 production start date. Affleck exited the director's chair earlier this year, leaving many to wonder if the movie was going to happen at all. Since then, War for the Planet of the Apes director Matt Reeves has signed on to take over the movie and, as previously reported, decided to ditch the original script that had been written by Ben Affleck, DC's Geoff Johns, and Chris Terrio, in order to start the movie completely from scratch. Reeves revealed to MTV that he had decided to completely start over on The Batman, leading many to speculate about the impeding 2018 release date being canceled. Then rumors of a "projected 2019 release date" started to spread when Variety picked up the story of Reeves beginning anew on the project. The Variety story ends by stating that The Batman has a "projected 2019 release date," which would make a whole lot of sense considering the amount of changes that have happened to the project in recent months. But it could also be pure speculation at this point, throwing out a random number. If the rumor of a 2019 release date is true, it gives director Matt Reeves a lot more time to to write the movie that he wants to see. The director has brought up his fondness for Christopher Nolan's ability to bring legitimacy to the comic book movie genre with the Dark Knight trilogy and has hinted that he would like to take The Batman in a similar direction. But this time, giving moviegoers more of an insight into how Batman ticks. Reeves has also stated that the movie is influenced by the works of Alfred Hitchcock, giving viewers the perspective of Batman in a more detailed way than has ever been seen before on the big screen. The rumored 2019 release date also brings up questions of the DCEU timeline and where The Batman might fit in to movies like Justice League and its sequel. A projected release date for Justice League 2 is summer of 2019, so where would The Batman fall? Could it be before the events of the sequel or after? Again, this is speculation at this point, but it does raise an interesting question of wondering where The Batman will fall into line if it is indeed released in 2019. The project will definitely have an impact on Justice League 2 regardless of when it's released. While the rumor of a projected release date of 2019 may seem like a bummer to Batman fans, it does make a lot of sense logistically. The move to start over from scratch was a big indicator that the movie could be pushed back and production was to already have started by now for the original March 2018 release date. If anything, fans should be excited that the movie is hitting the breaks in an effort to deliver the best possible project possible.